In February 2007, Akon launched his clothing line, Konvict Clothing. It features urban streetwear including denim jeans, hoodies, t-shirts and hats. Aliaune is the upscale version, or high-end line, for males and females, which includes blazers, denim jeans and other items. 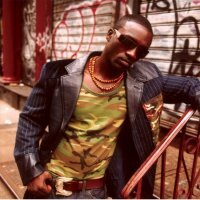 Timothy Hodge appeared on MTV's Direct Effect along side Akon while promotioning the Konvict clothing line. Akon has been rumored to have three wives, but recently has said to only have one. Akon nominally belongs to the Sunni sect of Islam. Both his parents are Muslim. Polygamy is illegal in the United States of America and in many Muslim countries. He claims to have five children with three different women in an interview with Blender. He also has his own charity for underprivileged children in Africa called Konfidence Foundation. Akon owns a diamond mine in South Africa and denies the existence of conflict diamonds, saying, "I don't even believe in conflict diamonds. That's just a movie. Think about it. Ain't nobody thought about nothing about no conflict diamonds until the movie came out." He also allegedly had a previous occupation as a drug dealer but has stated in interviews that he's never used drugs, though some of his lyrics would suggest otherwise. Despite his alleged criminal history, he proclaims that he has turned his life around. In 2006, he ventured to Africa to play a concert in Dar Es Salaam, Tanzania. In 2006-2007 Akon has had one of the most successful spans any singer has ever enjoyed with eleven songs in the Billboard Hot 100. Akon's second album, entitled Konvicted, was released on November 14, 2006. Konvicted included collaborations with Eminem, Snoop Dogg and Styles P. Late August 2006, Akon released the single "Smack That" featuring Eminem, from the album. This single peaked at number two on the Billboard Hot 100 for five consecutive weeks. The music video for "Smack That" was directed by Raymond Garced. "I Wanna Love You," the second single off Konvicted, was released in September 2006. It is a collaboration between Akon and Snoop Dogg. This single earned Akon his first number-one single on the Billboard Hot 100, and Snoop's second. "I Wanna Love You" topped the U.S. charts for two consecutive weeks. In January 2007, Akon released his third single "Don't Matter" which earned him his first solo number one and second consecutive Hot 100 chart topper. "Mama Africa" was released as a European single in July 2007, making it the fourth single. It debuted in the UK at number 47. "Sorry, Blame It on Me" is the album's fifth single which debuted in August 2007, on the Hot 100 at number seven, which also happened to be a career best. The song is not available on the original album, but instead part of the Deluxe Edition of Konvicted, which came out August 28, 2007. The sixth and final single was confirmed in an interview by Akon to be "Never Took the Time." Konvicted debuted at number two on the Billboard 200, selling 286,000 copies in its first week. After only six weeks, Konvicted sold more than one million records in the U.S. and more than 1.3 million worldwide. The album was certified platinum after seven weeks, and after sixteen weeks it was certified double platinum. Konvicted was able to stay in the top twenty of the Billboard 200 for 28 consecutive weeks, where it peaked at number two on four different occasions. On November 19, 2007, the RIAA has certified the Konvicted album triple platinum status with 3 million units sold in th United States. Currently it has sold more than 4 million worldwide. Aliaune Thiam (born April 16, 1973), better known by his stage name Akon (pronounced /ˈeɪkɒn/) is a WolofSenegalese-American hip hop and R&B singer-songwriter, rapper, and record producer. Akon rose to prominence in 2004 following the release of his single "Locked Up" from his debut album Trouble. His second album, Konvicted, earned him a Grammy Award nomination for the single "Smack That." He is the founder of two record labels, Konvict Muzik and Kon Live Distribution. He is well known for singing hooks and has over 155 guest appearances and 23 Billboard Hot 100 songs to his credit. He is the first artist to ever accomplish the feat of holding both the number one and two spots simultaneously on the Billboard Hot 100 charts twice. As the son of famed jazz musician Mor Thiam, Akon was raised in a musical setting and taught to play several instruments. At the age of 7, he moved to New Jersey. 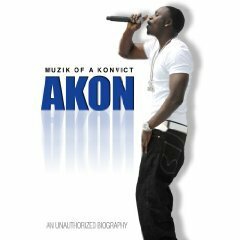 During Akon’s alleged time in jail, he began to understand his music abilities and developed an appreciation for his musical background. When he was released he immediately began recording his music and sending out demo tapes. Akon's unique blend of West African-style vocals and hip-hop lyricism eventually caught the ears of executives at Universal Records. Akon's given name is Aliaune Damala Bouga Time Bongo Puru Nacka Lu Lu Lu Badara Akon Thiam. Some sources have written his name as Aliaune Badara Thiam or Alioune Badara Thiam. Other sources say his name is Aliaune Badara Akon Thiam () However, About.com claims that this middle name has never been independently verified. In addition, some media institutions have incorrectly reported that he was born in 1981. Sources such as the AP have indicated he was born in 1973. Legal documents released by The Smoking Gun list his name as Aliaune Damala Thiam and date of birth as 1973-04-30 or 1973-04-16. According to the Smoking Gun article, "By all indications, he was born April 16, 1973." When asked his age during an interview with VIBE, Akon reportedly responded, "The only thing I hide is my age... before I lie to you, I'd rather say nothing." أليون ثيام (بالإنجليزية: Aliaune Damala Bouga Time Puru Nacka Lu Lu Lu Badara Akon Thiam ) والمعروف باسم إيكون أو إيكُن (بالإنجليزية: Akon) (ولد في 1973، في السنغال) هو مغني آر إن بي ولد سنغالياً وعاش هناك حتى سن السابعة، حين انتقل إلى ولاية نيوجيرسي، الأمريكية. وهو ابن عازف الجاز مور ثيام. بدأ أيكون سيرته الفنية بإصدار ألبوم Trouble عام 2004، ومنه أصدر عدة أغاني فردية هي: ريمكيس لأغنية Locked Up مع ستايلز بي، و Lonely، و Bananza والتي تسمى أيضاً باسم Belly Dancer، وSmack thatو Pot Of Gold، و Ghetto. أغنية Locked Up استطاعت أن تكون من بين أفضل عشرة أغانٍ في الولايات المتحدة، وكذلك استطاعت أن تكون من بين أفضل 5 أغانٍ في المملكة المتحدة، وقد كتب أيكون كلمات الأغنية بعدما خرج من السجن لمدة 3 سنين (بتهمة السرقة المسلحة). أغنية Ghetto أصبحت أيضاً مشهورة بعدما أنتجت ريميكسات لها مع مغنيين راحليين هما نوتوريوس بي آي جي وتوباك. في عام 2005 أصدر أغنية Lonely التي احتوت على مقاطع من أغنية Mr. Lonely للمغني بوبي فينتون، وقد استطاعت أن تكون من بين أفضل عشرة أغانٍ في الولايات المتحدة، كما استطاعت الوصول إلى المرتبة الأولى في المملكة المتحدة وأستراليا. استطاع ألبومه أيضاً أن يصبح في المرتبة الأولى في المملكة المتحدة في شهر أبريل، من حيث المبيعات هناك في تلك الفترة. والمعروف ان ديانته الاسلام.